A career in the news media industry is an exciting and rewarding path to follow, but it’s important to gain the right knowledge and practical skills in order to succeed. 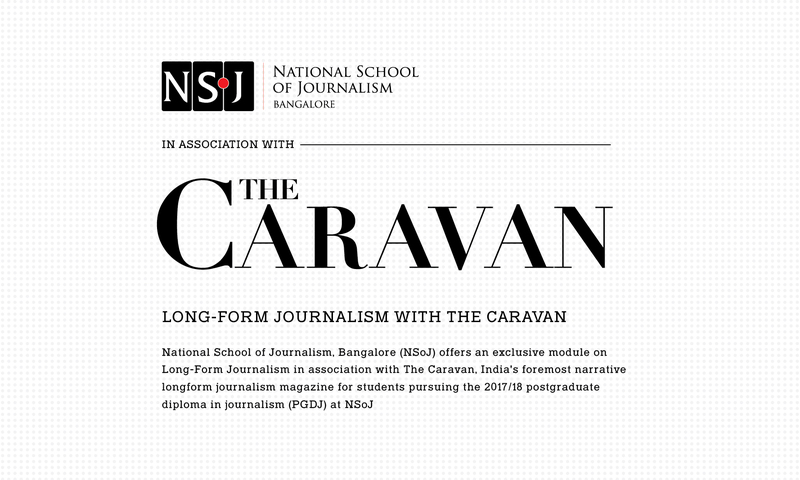 At the National School of Journalism, we identify, train and nurture the best journalistic talent in India. Through undergraduate and postgraduate programs focused on broadcast, print and convergence media, we give students the best possible platform from which to begin a successful career in the industry. Join the best college for journalism in Bangalore and become the future of news media in India, with the help of experienced instructors with expertise as columnists, editors, reporters, filmmakers, academics, digital media specialists and more. We have a passion for the news media industry, and focus our expertise on turning students into professionals by helping them navigate both journalistic theory and newsroom-focused skills while fostering growth through our in-house news portal. When you graduate from NSoJ, you will be equipped with the knowledge required to kick start a career and flourish in a real-world environment. Our experienced staff will help you understand traditional industry values while preparing you for a career in the modern age. NSoJ graduates will have a firm grasp of the ability to identify wider contexts surrounding any issue and possess a commanding ability to communicate information to the public in a balanced, fair and responsible manner.